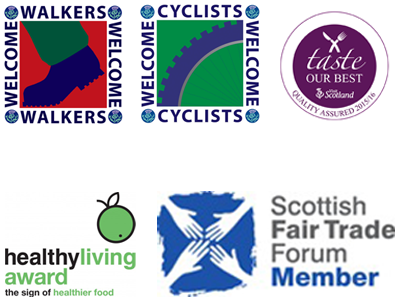 Out and about from Ferry Row - so much to see and do! 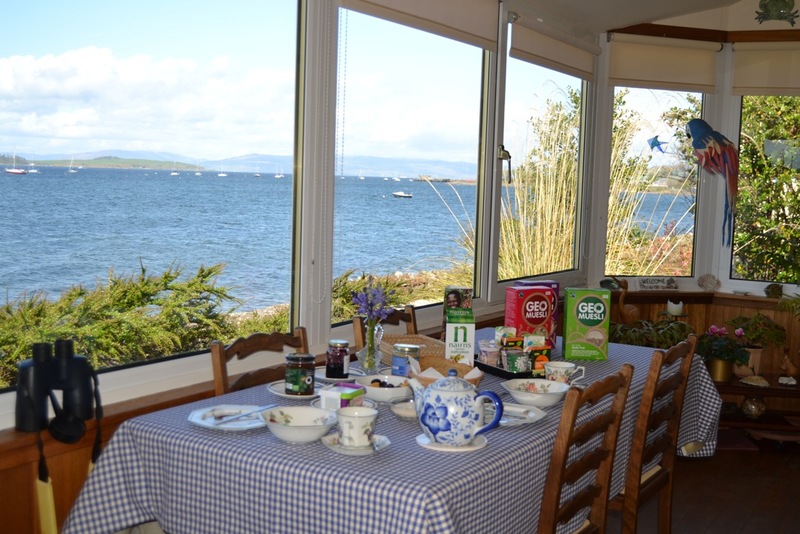 Ferry Row B&B is a quiet bed & breakfast in Fairlie. It is ʻa house with its feet in the waterʼ right on the seafront in the picturesque village of Fairlie. 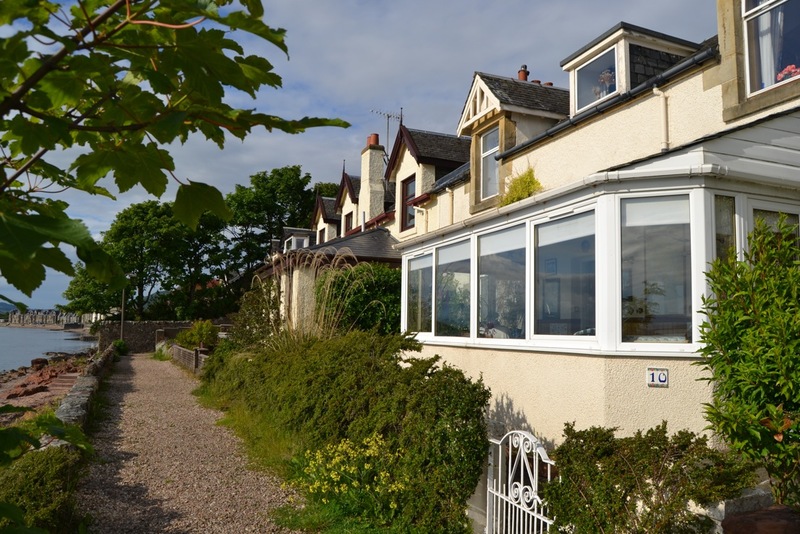 Just 3 miles south of Largs, Fairlie has a long tradition of accommodating summer visitors and holidaymakers, and we continue to enjoy the company of guests in our home at any time of year. Here you will find peace and quiet, a comfortable room, a quality breakfast and a beautiful view – a place for reflection or a base for activity. the herring gulls, the blackbirds – and get away from it all . . . . . . . . . 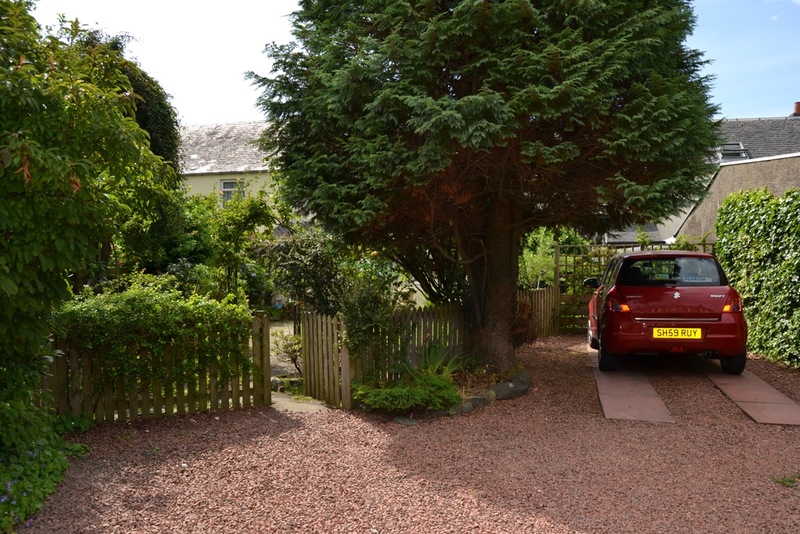 So if you are looking for a quiet, friendly B&B in Ayrshire, this is for you. The Sitooterie provides a panoramic view at breakfast time or in the evening. See whatʼs on the menu and in your room. Wifi is available throughout. B&B in Ferry Row starts from £30 per person for bed, breakfast and free Wifi. 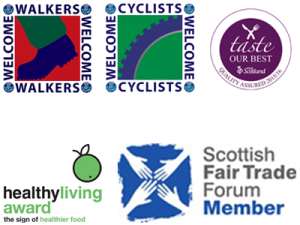 We don’t use booking websites – simply use the Contact Form or give us a call. Itʼs easy! When you reach Fairlie on the A78 there is one set of traffic lights, and you simply turn towards the sea…. Full directions and parking information. We ask guests to respect our ʻno smokingʼ policy which applies throughout the B&B.